My family is hooked on French Bread! They would have it EVERY night if it were up to them. 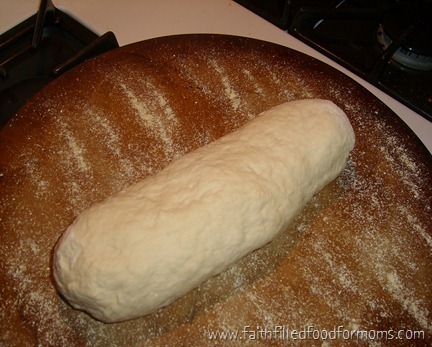 However at over $2 a loaf it can break the bank to have this fluffy, mouthwatering white bread too often. So I’ve been making my own for quite some time now…for Pennies! 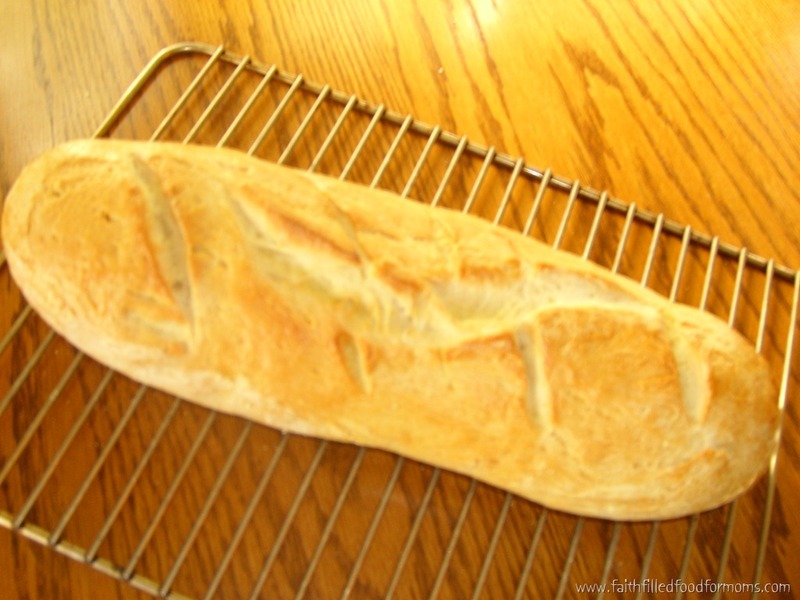 I thought you might like to learn how to make your own delicious French Bread too! This is kind of an old recipe, so I really don’t remember where I got it, but I remember I adapted it from a bread maker recipe so if you wanted to use your bread machine you could..
It’s super easy and faster not to use a bread machine though and I use it quite often. 1 1/8 cups warm water (about 110 degrees) This really means..warmer than warm, but not hot. 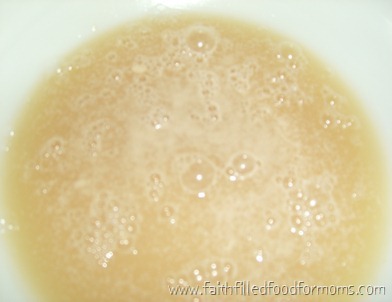 First put Water, brown sugar and yeast in a large bowl. Let the yeast proof (this means to get bubbly) If your yeast is fresh this only takes about 5-10 min. After that is mixed up really good..turn it out onto a clean floured surface. I just use my counter. Then you are ready to knead. 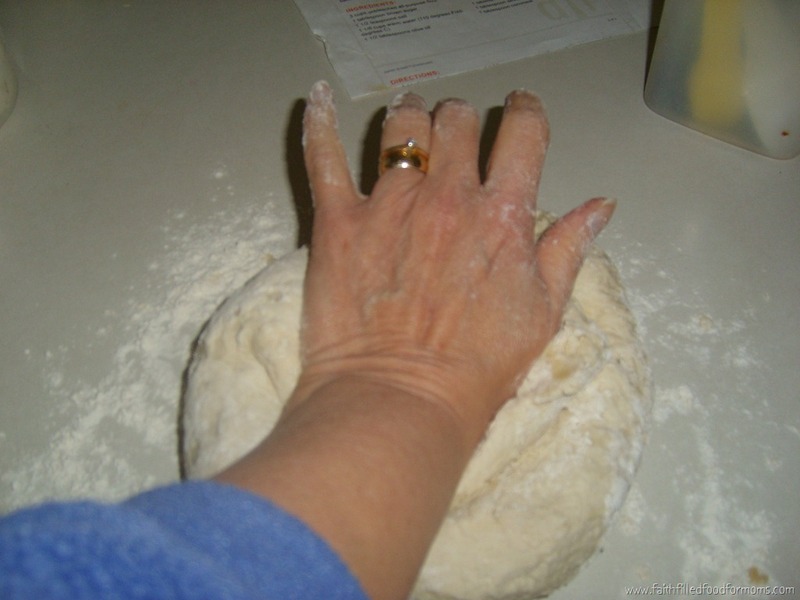 Kneading just means mixing more with your hands and making sure that the yeast and everything is evenly distributed. Kneading will also determine the texture of your bread. Sprinkle cornmeal onto your baking sheet. Cornmeal works great at keeping dough from sticking to pans. That’s bakeries often use. Shape dough into a loaf. Now with a pastry brush..brush water all over the loaf. Let is rise until doubled in size..about 50 min. 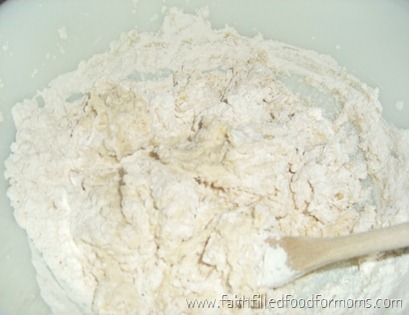 After you’ve let the dough raise, brush with egg wash (thoroughly mixed egg) Cut 4 slits in the top about 1/4 inch deep. Cook at 375 Degrees for about 20 – 25 minutes. With A Bowl of Water in Oven (this makes crust crisp)….Until golden brown. 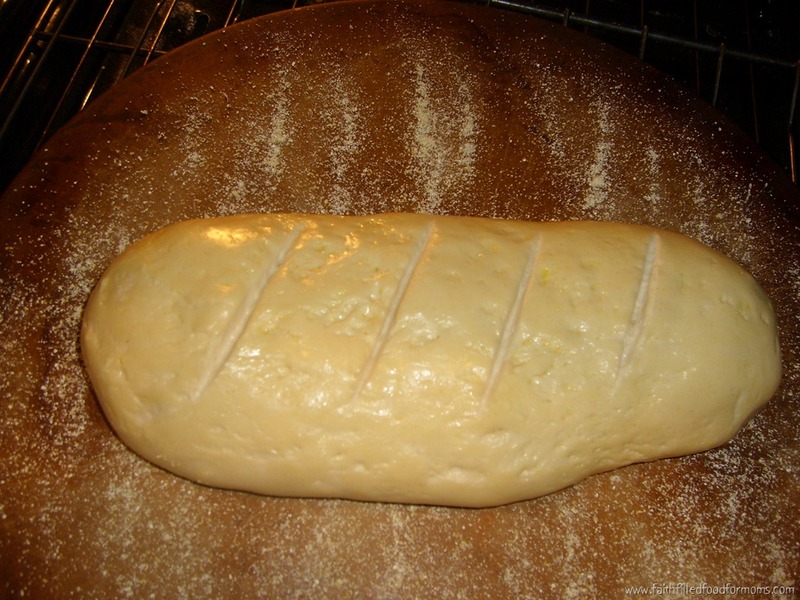 After the bread comes out of the oven, let it rest and cool for about 1/2 hour before cutting. ~If you want to have the REALLY CRUSTY BREAD, make earlier in the day and then about 5 minutes before dinner pop into the oven again. It will make a really nice crust. 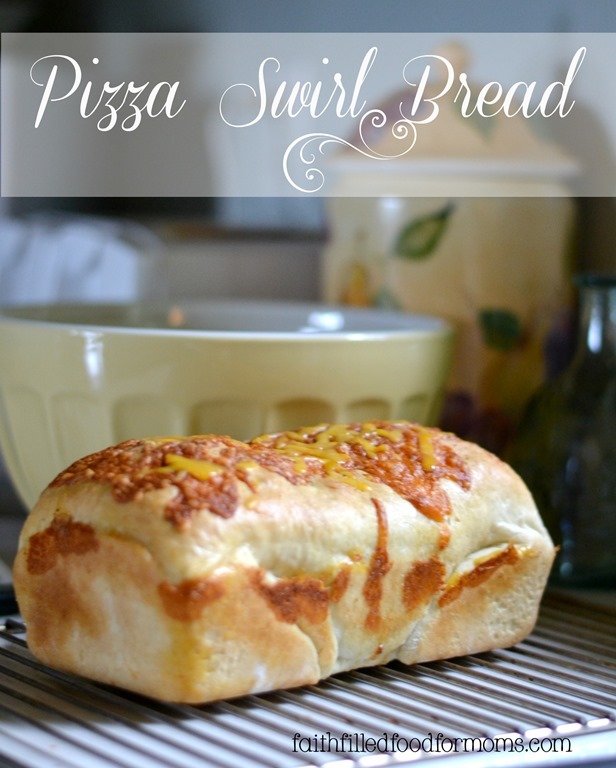 Even if you used a bread machine for this recipe .. you can still pop in oven right before a meal and have the same results. It becomes more like an Artisan Bread. 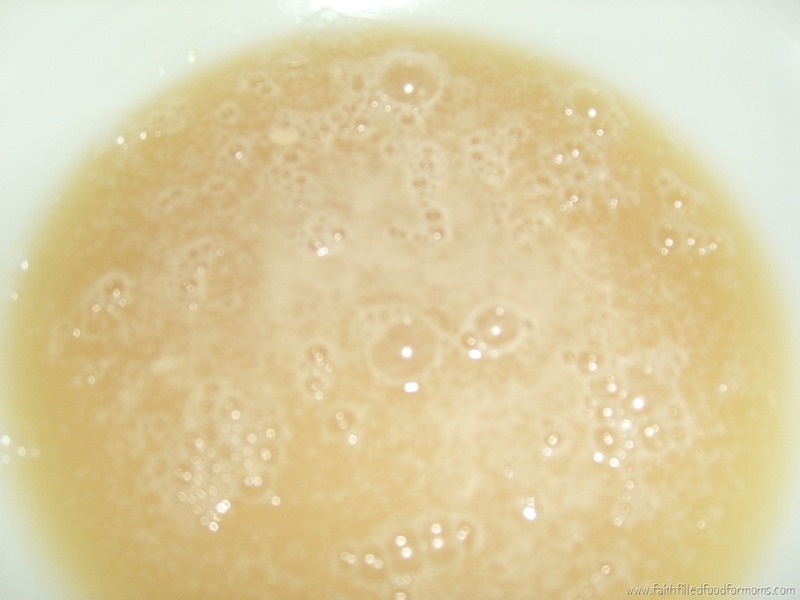 ~You can easily double or triple this recipe. ~Bake up several loaves and freeze! Wrap up really good for freshness. ~Also makes great Garlic Bread! ~You can also make the bread with Whole Wheat Flour. You can do 1/2 and 1/2, 3/4 and 1/4 or all Whole Wheat. If you do ALL Whole Wheat you may need to use just a smidge more water. What are your favorite breads? Would you like me to feature more Bread Making? If you want to have the REALLY CRUSTY BREAD, make earlier in the day and then about 5 minutes before dinner pop into the oven again. It will make a really nice crust. Even if you used a bread machine for this recipe .. you can still pop in oven right before a meal and have the same results. It becomes more like an Artisan Bread. « Avodah Coffee Review and Giveaway! This sounds so easy, I think even I can make it! I’m going to try the cornmeal trick. I haven’t done that before! Are you using a baking stone? Hi Ginny! This is really easy and for sure you can make it! 🙂 The cornmeal trick is awesome..use it for you pizza’s too! yes that’s a baking stone..getting rather old..I love it though. Have a blessed weekend! Mmmmmm….I can just smell that wonderful fresh baked bread aroma!! Looks fabulous, Shari ~ thanks for sharing your recipe and baking tips! Since my father is diabetic, we don’t eat a lot of “white” bread ~ do you think this could be made into a “whole wheat” french bread? Ok this looks amazing. And I am going to have to try this! Thanks Susie..you’ll love it and it’s sooooo easy! Have a great weekend! Blessings! I make french bread but I’ve never thought of using olive oil instead of another oil. I’ll have to try this next time I make a loaf. Hi Donna!! I think you would enjoy the texture and the flavor with Olive Oil! You’ll be hooked 🙂 Blessings! I originally saw this recipe to use it to make French toast waffles. Do I make this the night before to use it and eat it in the morning? I’d like to use it for the waffles and just to have in the morning but I was not sure how long it stays good for ? Hi Carrie! Yes you can the homemade bread will totally keep for the next day or two. Thanks for stopping by!